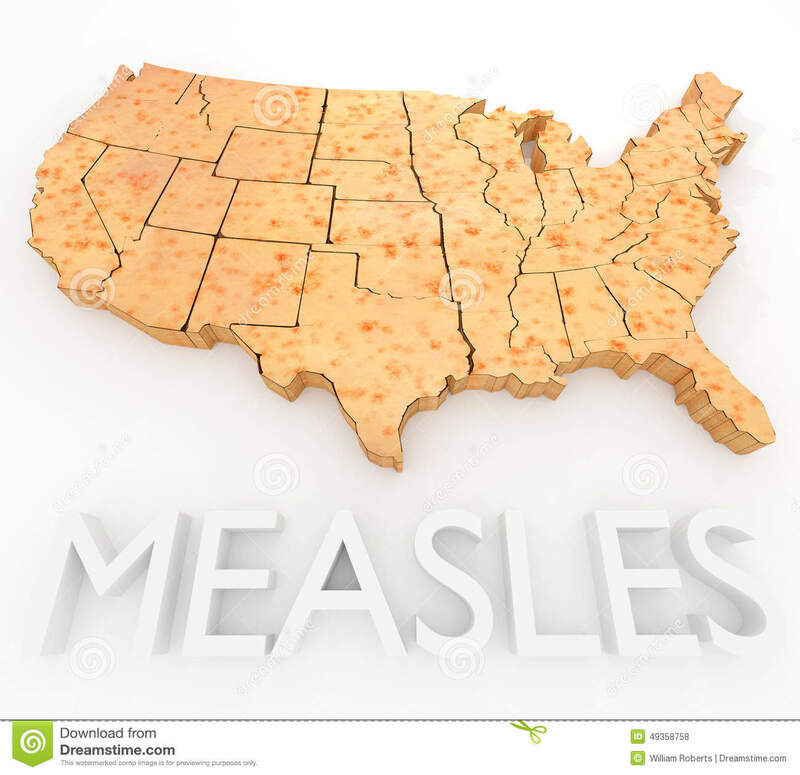 (RxWiki News) As of early this month, there have been 228 cases of measles in 12 states so far this year. That means that, in less than three months, this year has seen more measles cases than all of 2017. Cases have been confirmed in California, Colorado, Connecticut, Georgia, Illinois, Kentucky, New Hampshire, New Jersey, New York, Oregon, Texas and Washington. Washington declared a state of emergency as the number of measles cases continued to rise. The number of cases and cities affected by measles continues to increase, according to health experts. Measles is still quite common in certain parts of the world, such as countries in Africa, Europe, Asia and the Pacific. People traveling from these areas can bring measles to the US. Measles is highly contagious. The virus can easily be spread to others through coughing and sneezing. This is partly because the virus can live for up to two hours in the air where the infected person coughed or sneezed. To get measles, all you have to do is touch a contaminated surface and then touch your eyes, nose or mouth. You can also get it by breathing contaminated air. 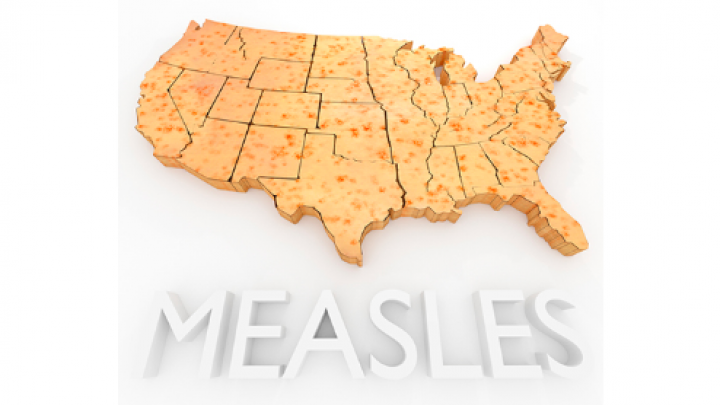 If one person is infected with measles, 90 percent of the unvaccinated individuals near that person will also get measles, according to the Centers for Disease Control and Prevention (CDC). Two or three days after an infected person experiences the above symptoms, they may notice tiny white spots. These spots are called Koplik spots, and they may appear inside the mouth. Three to five days after symptoms are seen, the infected individual may notice a rash. This rash typically starts off as flat, red spots on the face. The rash often starts at the head and spreads to the rest of the body. Although measles can be serious for people of all ages, those younger than 5 and those older than 20 are more likely to experience complications related to measles, according to the CDC. Some complications include ear infections and diarrhea. Severe complications may include swelling of the brain and pneumonia. Pneumonia is the most common cause of death from measles in young children. According to the CDC, measles was declared eliminated from the US in 2000. The elimination was associated with the nation's highly effective vaccination program. Now, the status of measles seems to be shifting because the virus can easily spread when it reaches groups of people who are unvaccinated. The MMR vaccine protects against measles, mumps and rubella. Some people have shown concern about possible risks tied to the MMR vaccine, but studies have shown that the benefits far outweigh the potential risks. A complete series of the MMR vaccine includes two doses. The CDC recommends that all children get two doses of the MMR vaccine, starting with the first dose at 12 through 15 months of age and the second dose at 4 through 6 years of age. If you are not sure whether you have received this vaccine in the past, speak with your health care provider, who can help determine the next step for you.